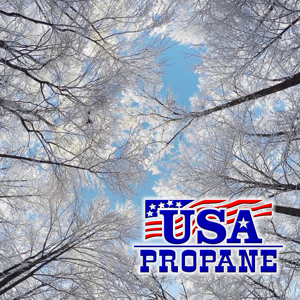 USA Propane wants you to have a happy and warm winter. We want you to remain warm and comfortable throughout the heating season! Will Call deliveries may take up to five business days to be placed in a route so please call us when your tank is no less than 20%. All balances must be paid before delivery. COD customers must have payment ready when calling for delivery as accounts will not be placed into routes until payment is available. Please make sure driveways are clear of snow. If we are unable to access your tank, it will not go up for delivery again until we are next in your area which may be five additional business days. Our personnel will not enter snow covered driveways. Payments are due by the last business day of the month or BEFORE your next delivery (whichever comes first). Year end payments are due by NOON on December 31, 2018. Payments after that time may result in late charges. Deliveries outside of our routes each day may require an additional trip charge. Trip charges rise after noon each day and again on nights and weekends. Please keep track of your tank percentage so that you don't run out of propane! If you are a COD customer and payment is not ready at the time of delivery, you will not be rescheduled until the next time we are in the area which may be up to five business days later. If payment is not there two consecutive times, we will not make any further deliveries until payment has been received in office or paid online. The mechanical tank guage is only an estimation of the total propane remaining in your tank. The percentage reading can vary due to barometric pressure, sunshine on the tank and cool temperatures. Tank guages have been known to vary up to 10%. We use the meters on our trucks to determine the exact amount of propane delivered NOT the tank guage. USA Propane's delivery truck meters are state inspected and sealed every year for accuracy. Please rely only on the amount shown on your truck meter delivery ticket for the actual delivered gallons. 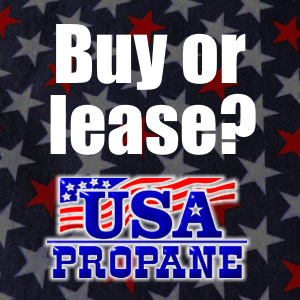 If you are a current customer of USA Propane, you may receive a referral credit of $50 when referring a new customer tank set to USA Propane. This is for new tank sets only and new customer must use the minimum amount required yearly before credit will apply. Referral credits do not apply for accounts where a tank is already in place and has been previously serviced by USA Propane. USA Propane offers forklift cylinder service at a reasonable cost! Contact us for information on our regular cylinder service. It is simple! Let us know your average cylinder usage and we will make sure you have the appropriate number of cylinders at your place of business. We will make regular exchange deliveries to your location where we will swap full tanks with your empty tanks. Plus, we do it at a low cost to you! If you are currently with a propane company that fills your tanks at your location, please be aware that this is a huge danger to your and your employees. Filling tanks on location is a very dangerous operation. Make sure your insurance company is aware of this practice. If you choose to have USA Propane service your forklift cylinders, be aware that we NEVER fill tanks at your location but instead operate entirely as an exchange service. This eliminates the problems of filling tanks at your location and the dangers associated with this inappropriate practice.